Looking to mix things up? Join HMNS’ Young Professionals group, HMNS Catalysts, and cause a reaction! A membership program for fun, intellectual types around town to mix and mingle, become a Catalyst and take advantage of all HMNS has to offer. *All HMNS Catalysts events are strictly for adults 21 and up. *HMNS Catalysts events are strictly for adults ages 21 and up. Visit us on Facebook at www.facebook.com/HMNSCatalysts. Thursday, April 11 | Doors open at 6 p.m.
Show begins promptly at 7 p.m.
Houston’s very own Ben Jackson is bringing his acclaimed Magic, Music, and Mayhem show to HMNS! Experience a night of wonder and receive 50% off regular priced tickets this special show just for HMNS Catalysts members and their guests. It will be a dazzling performance and a night to remember. Only at HMNS. Event is 21 and up. *Guest tickets can be purchased over the phone at 713-639-4629. Tuesday, May 21, June 25, July 23, August 27 | 6:30 p.m. Roll out your yoga mats and prepare for an evening of dino yoga with HMNS—exclusively for Catalysts! Get more yoga and take advantage of our new season pass, all four classes for just $30. Perfect for avid yogis or beginners. Come out, learn and have fun! 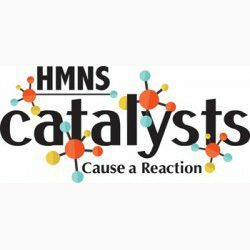 Tickets are $10 for HMNS Catalysts and their guests. Due to extremely limited availability, reservations are required. Please call 713-639-4629 or follow the link below for tickets. Catalysts receive free tickets to Mixers & Elixirs. Pop on over to our place to mingle, clink your cocktail glass, and break out your best dance moves. Enjoy live music, cash bars, and the city’s best food trucks. The perfect party, where the science club meets the social set, happens each month from June through August. Hitting this scene is a sure sign of intelligence! For dates and details, click here. This event is only for adults ages 21 and up. The HMNS Catalysts are generously supported by Frost Bank. Biophilia: A Dialogue of Nature, Art and Science was created and organized by Christopher Marley.